In the grand scheme of things, it is quite unreasonable for the loyalists of the opposition NDC to claim vehemently that the incumbent NPP government has messed-up or messing-up Ghana’s economy in barely two years into a four year-mandate. With all due respect, and no attached condescension whatsoever, former President Mahama’s assertion is destitute of honesty and integrity. I am pretty sure that not all Ghanaians suffer from chronic memory loss and therefore some of us can vividly recollect the NDC government’s previous unfulfilled Manifesto promises. It is, indeed, quite irritating that an experienced politician, who is also a well-versed historian, would blatantly fail to recollect past events. Perhaps former President Mahama is only trying his level best to hoodwink the unsuspecting voters. Whatever the case, it is rather unconscionable for anyone to expect a government that has been in power for approximately 26 months to honour all its Manifesto promises within such a short space of time. Let us therefore be honest, it is too short a time for any government to undo the massive mess left by the erstwhile NDC administration. If my memory serves me right, it was Ex-President Mahama who once bizarrely claimed that they, (NDC government) had edaciously consumed all the meat on the bone. That was, indeed, weird and uncharacteristic of a supposedly serious, committed and forward-thinking government. In a way, former President Mahama was explaining Ghana’s unprecedented economic meltdown as a result of mismanagement and rampant sleazes and corruption under his watch. It is, therefore, extremely baffling to keep hearing and reading from the same people who wilfully collapsed the once thriving economy up in arms and shouting from the roof top about the supposedly slow pace of development barely 26 months of the NPP government assuming office. How could the same people who revoltingly send Ghana’s economy deeper and deeper into the mire turn around and accuse the NPP government of not turning things around quickly in barely 26 months into a 48 month-mandate? If you may remember, it was the same x-President Mahama’s government that spent licentiously and above its means and in the process needlessly increased our total debt from GH9.5 billion in 2009 to GH122.4 billion as of December 2016, albeit with a little to show for. This means that there was virtually no money left in the national purse for the incoming NPP government to fix the depressed economy within a shortest possible time. It is, therefore, quite unreasonable for former President Mahama and the minority NDC operatives to expect the NPP government to keep all its promises within a short space of time. After all, haven’t the good people of Ghana given the Akufo-Addo’s government four years to deliver the Manifesto promises? Well, the NDC faithful should rather commend the NPP government for taking prudent steps towards fixing the mess created by the erstwhile NDC administration. Indeed, despite all the economic mess left by the erstwhile Mahama’s maladaptive administration, the current NPP government under the able leadership of President Akufo-Addo has graciously implemented a number of social interventions with the view to closing the social mobility gap to the barest minimum. There is no gainsaying the fact that since assuming power, the Akufo-Addo’s government has taken estimable strides to improving the ever widening social mobility chasm through implementation of poverty reduction policies such as free SHS, one district one factory, one million dollars per constituency, tax and tariff reductions (ranging from 17.5% to 30% on electricity), a dam per village in the northern part of Ghana, among others. It is also worth stressing that in spite of the huge economic mess created by the outgone Mahama government amid stunted economic growth, the Akufo-Addo’s government has efficiently raised the economic growth from a nauseating 3.6% as of December 2016 to around 6% within a short space of time. It is absolutely true that upon taking office, the NPP government has dramatically reversed the inflation rate to a single digit from a little over 15 per cent as of December 2016 (GSS 2018). Truly, President Akufo-Addo and his government are gallantly delivering on their Manifesto promises to the delight of the vast majority of Ghanaians. In the past, Ghanaians witnessed NDC government’s numerous broken Manifesto promises, but the one that will long be stencilled on the mental sheets of succeeding generations is the one-time NHIS premium. That Manifesto promise, so to speak, was destitute of honesty and integrity. So, who says that the NDC is an honest party that keeps its Manifesto promises at all times? It would be recalled that prior to the 2008 and 2012 general elections, Ex-President Mahama and his NDC made a number of Manifesto promises to Ghanaians. But as to whether they honoured all the promises, is a million dollar question. It goes without saying that the NDC solicited votes from Ghanaians, and, in exchange, they guaranteed everyone protection of life, property, provision of social amenities, better socio-economic standards of living and to a certain extent liberty. 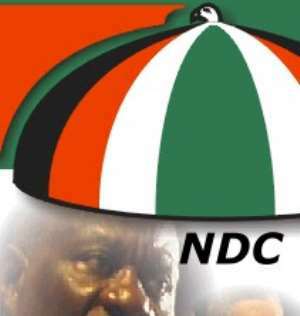 Dearest reader, if you may recall, during the 2008 and 2012 general elections, the NDC gave a slew of Manifesto promises, including one-time NHIS premium, free SHS, ‘making dumsor a thing of the past, putting money in Ghanaians pocket, creating more jobs for the jobless, stabilising the economy, protecting Ghanaians from the menaces of galamsey and Fulani herdsmen, bringing an end to dubious judgement debt payments, fighting the rampant sleazes and corruption amongst others. Regrettably, however, after giving all those juicy, albeit unrealistic promises with a view to deceiving Ghanaians for their mandate, the NDC government, as expected, woefully failed to honour the promises, and, as a consequence, a total of 55.6 per cent (44.4 for Mahama) of the electorates rightly voted them out of power in 2016. In retrospect, the NDC government failed terribly to initiate expedient policies to overturn the failed policies of agriculture, poverty reduction and resource allocation in the areas of healthcare, education, finance, supply chain management and security sector planning, amongst others. This author has authored 685 publications on Modern Ghana. But didn’t Mahama admit he cannot fix a broken economy in 30 months? So What Happened To NDC’s Staggering GHC1.5 Billion Judgement Debt Claim?